Russian mining giant Alrosa will auction special size rough diamonds (over 10.8 carats) and polished diamonds manufactured by Diamonds Alrosa at the Israel Diamond Exchange (IDE) on November 4-22, 2018. The results of the auction will be announced on November 26. 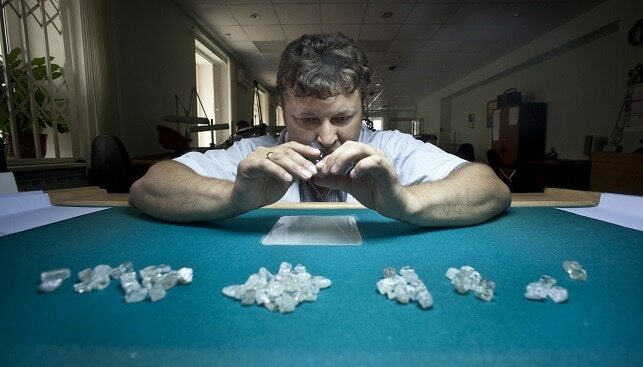 Alrosa will auction 127 large gem-quality rough diamonds weighing a total of 2,244 carats. The total weight of polished diamonds up for auction will exceed 900 carats. More than 100 companies from Belgium, Hong Kong, Israel, India, UAE, the US and Russia were invited to participate in the auction. Evgeny Agureev, Director of the USO ALROSA, commented: “The upcoming auction will be the last one planned by ALROSA in Israel this year, and we hope that, as in previous cases, our products will be in high demand among participants”. This year, Alrosa held five rough diamond auctions in Ramat Gan. Total revenue from sales amounted to about $70 million.